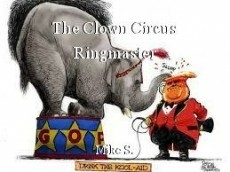 The Clown Circus Ringmaster, poem by Mike S.
Not really a poem, definitely not a story, though! "You can lead an elephant to Kool-Aid, and make that f****r drink!" I apologize for the offensive language, I just get so mad!